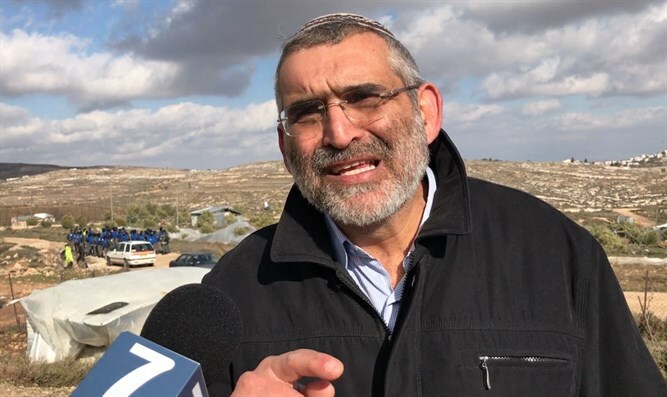 Former National Union MK and Otzma Yehudit party chairman Michael Ben Ari blasted the Supreme Court decision Thursday to drop two and a half years from the sentence of an Arab terrorist who stabbed two Jews in northern Jerusalem in 2015. The terrorist had been sentenced to 12 years in prison for the attempted murder of two Jews in Pisgat Zeev, a northern neighborhood of the capital, on October 12th, 2015. But on Thursday, Supreme Court Justices Esther Hayut, Anat Baron and David Mintz reduced the sentence to nine and a half years. The stabbing attack left Yosef Haim Twito and a 13-year-old Jewish boy wounded. The boy was critically wounded but managed to recover after an extended hospital stay. Following the court’s decision, Ben Ari slammed Mintz, the author of the ruling, saying the move would “give a tailwind to terrorism”. “Nachmanides [13th century rabbinic authority] already gave us a very wise and piercing description [for this behavior] when he wrote: ‘By the mercy of fools all justice is lost’. Justice Mintz essentially gave a tailwind to terrorism. By reducing the terrorist’s sentence, despite the severity of his crime – attempted murder – Ben Ari argued that the court had sent a message to every potential terrorist in the region. “Every teen in [the Arab village of] Issawiya [in Jerusalem] knows that he can go out with a knife to murder Jews and become a hero [for local Arabs] and that they’ll make a big party [in his honor]. No one will shoot him because then [the shooter] would go to jail just like Azariya,” said Ben Ari, alluding to former IDF Sgt. Elor Azariya, who was convicted on manslaughter in January for the March 2016 shooting of a wounded Arab terrorist.